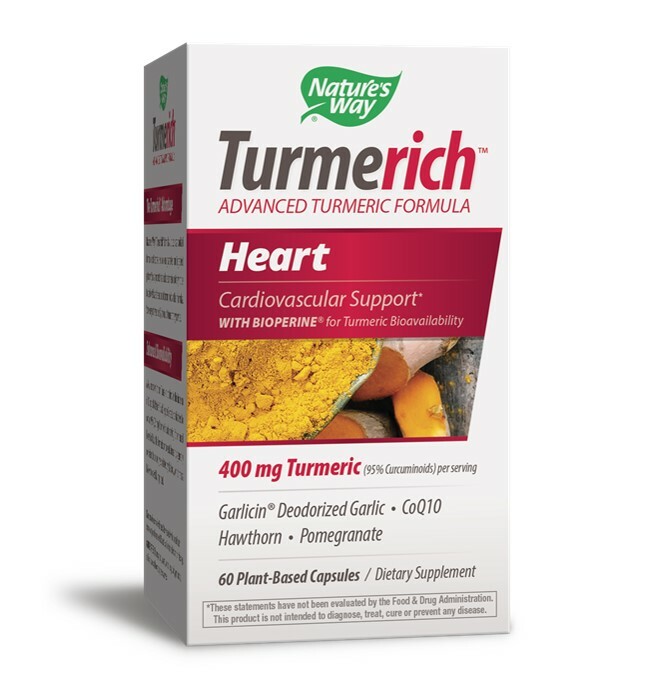 A pioneer in dietary supplements, Nature’s Way® introduced Turmerich™, a new line of turmeric-based herbal products. These are formulated to address specific health needs; Turmerich Joint, for joint and mobility support*, and Turmerich Heart, for cardiovascular support*. Nature’s Way became the first herbal dietary supplements brand to receive both non-GMO and TRU-ID™ certification. Non-GMO certification ensures Nature’s Way herbals are produced according to best practices for avoiding genetically modified organisms. In addition, the TRU-ID™ certification ensures the authenticity of Nature’s Way herbals – confirming that the herb found in the product matches the herb found in nature. A big deal in the world of supplements, Kudos Nature’s Way! *These statements have not been evaluated by the Food &amp; Drug Administration.